Welcome to the beekeeping world! May your career as a beekeeper be long and prosperous, and may these pages help you on your journey. Scroll down for introductory notes, which follow the quick links, below. Should New Beekeepers Go Treatment Free?? *Final Exam Notes*: Everything You Need to Know as a Beekeeper, in a Nutshell! These pages were first written during Summer 2015, and will be edited frequently as new and better information presents. Thus begins a new adventure for all of us: you as a new beekeeper, and for me as an online advisor. My best advice to us both is to read, observe, and learn. It is easy (if expensive!) to keep bees, but it is not easy to keep them well. We live in a highly disrupted world. We have altered the land and the landscape, so much so that we are beginning to alter the climate. We have pulled the honey bee, Apis mellifera, out of her home range, and put her into biozones all over the globe, biozones she was never adapted to or for. We have introduced pests, diseases, and environmental stressors (the beekeeper being one of the most important) to the honey bee, and asked her to perform for us. Please, we ask, be healthy and productive! But don’t swarm, make incredible amounts of honey, pollinate in the face of industrial farming and industrial agri-spray regimes, don’t bother the neighbours, and get through the winter! No wonder the bees are on their little bees’ knees. Week by week we will explore together the canon of knowledge which is Beginning Beekeeping. We will both cover the usual course outline for beginning beeks, and chat about what we are finding in our hives, and in the beeyard, at this time of year (we are beginning in mid July in the Pacific Northwest, in an unprecedentedly dry and sunny summer). The main focus of our learnings will be giving you tools to prevent colony loss. Upwards of 80% of new beekeepers quit beekeeping in under three years, likely out of frustration when their bees keep dying. Bees are precious, and expensive. So we will emphasize what it takes to keep bees alive, using lots of web content and resources. I will present all the options out there but concentrate on the ones that I have found to work here in our bee-dense, berry field rich locale (the Lower Mainland area around Vancouver, BC, Canada…ours is a typical Pacific Northwest climate, cool summer area). All the pages will be available through the menu button drop down, top right of the page. And if you have bee questions, I will post them and my best answer on the Advice Column page. If I can’t answer the question, I will consult my personal panel of Bee Wizards, and post their advice. I have posted a guide to the basic equipment you will need. A good site packed with information and beginner beekeeping advice is Randy Oliver’s Scientific Beekeeping. In particular, read up on first year care for your colony. A great video set is David Eyre’s DVD’s on basic beekeeping and queen rearing. Check out the Resource Page for some key info links, winter prep advice, and equipment recommendations. 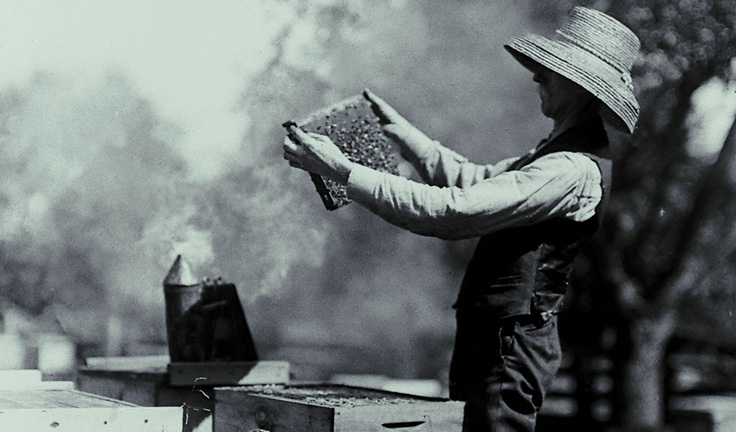 The most beautiful nature writing is done by Sue Hubbell, who was herself a beekeeper. Her books on bees and other wild creatures are an enchantment. May you have long and happy careers as beekeepers! WOW, I am so happy this is up and running. I am entering my second summer with the girls and so far so good. Thanks for this, it will be most beneficial. I add info as it comes in, so hope these pages help Doug! Happy to field questions any time, it is fun to talk about bees.